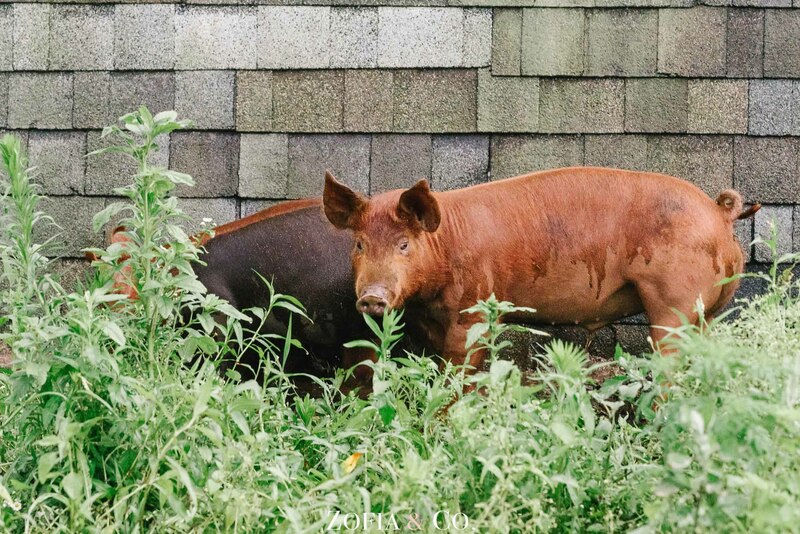 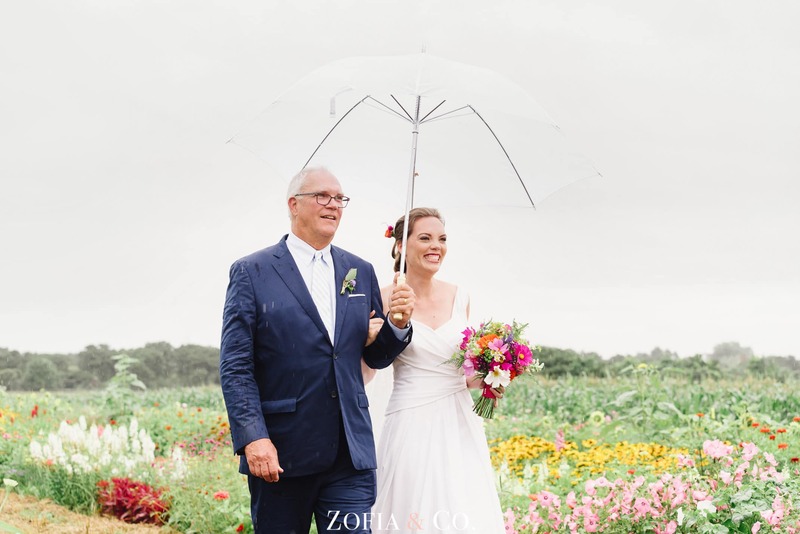 The forecast lies, and it rains all day, but everyone embraces the wet weather with a smile. 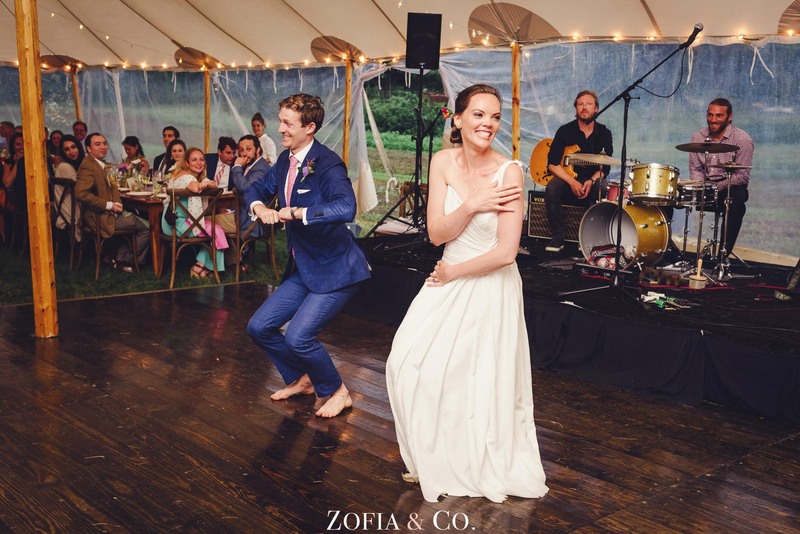 Your mother is Hawaiian, so your partner learns a hula to surprise your family at your wedding reception. 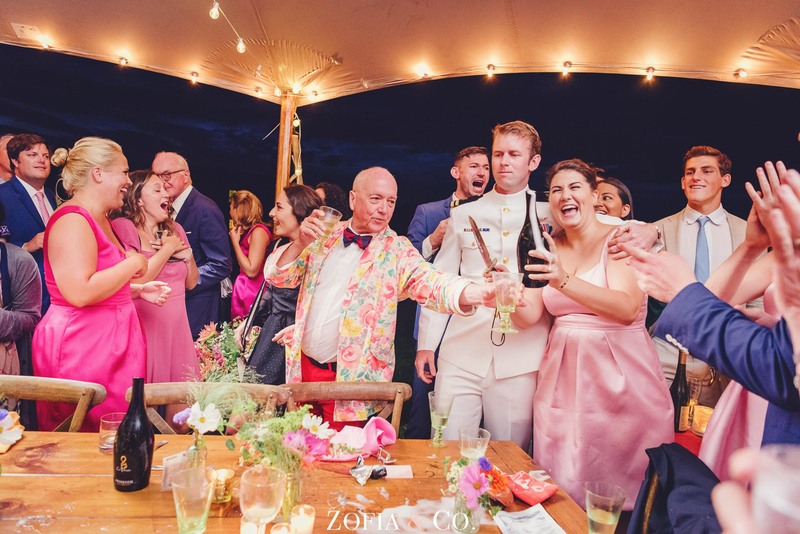 Your wedding party of your closest 20 friends learn Hawaiian and traditional cowboy poems to bless your ceremony. 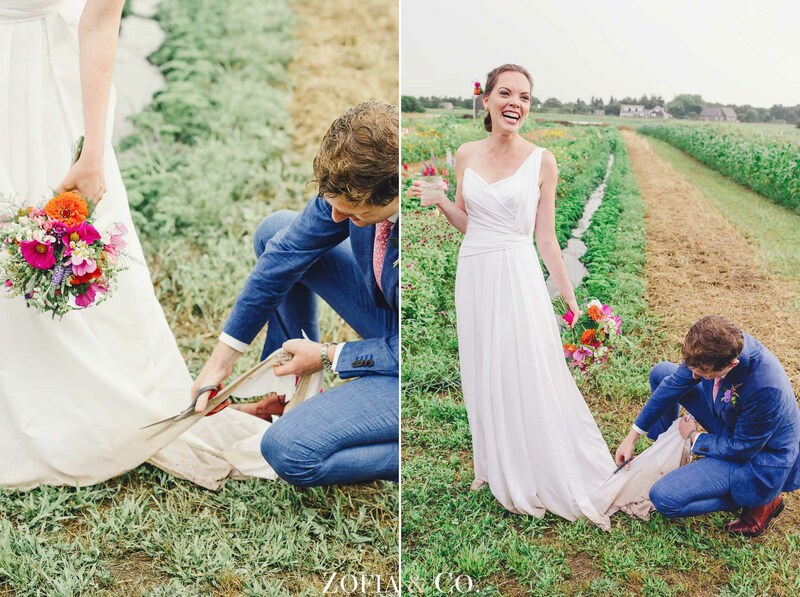 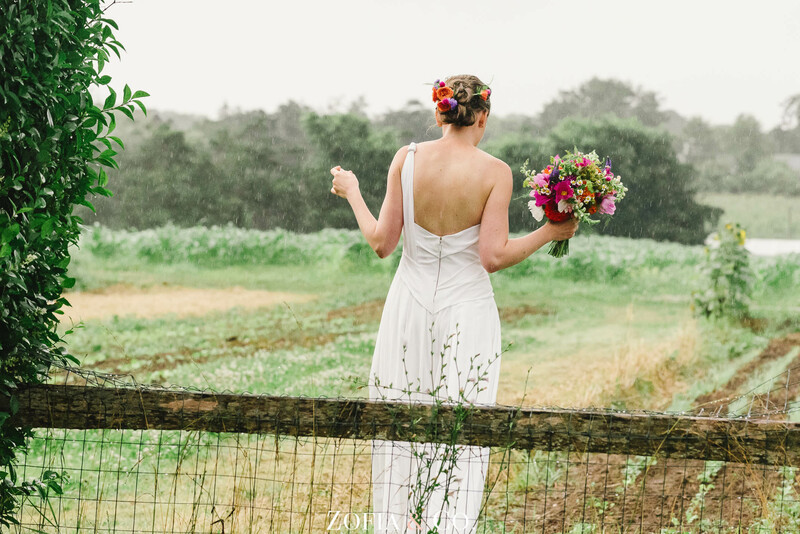 Your partner’s dress is muddy from the rain so you hem it for her in a field of flowers. 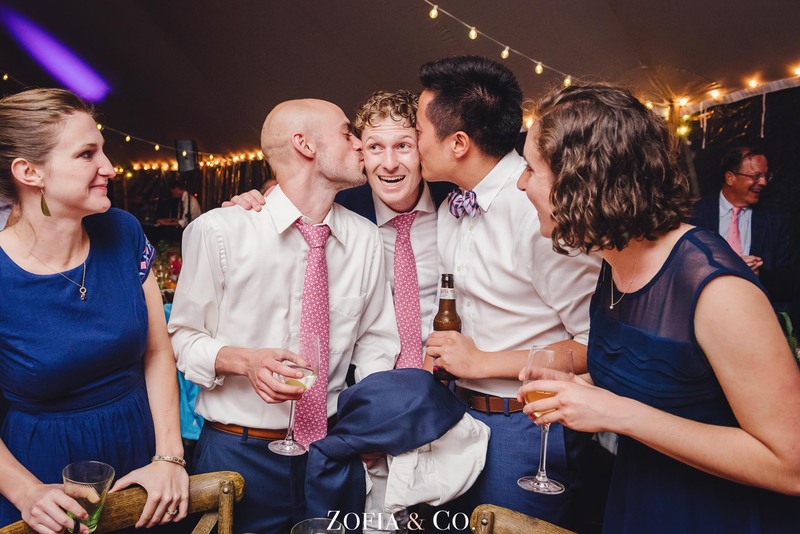 Everyone gets choked up at the thought of you moving halfway around the world on your next journey with your partner, but they wish you well instead of holding you back- because you’re awesome and you’re going to be just fine. 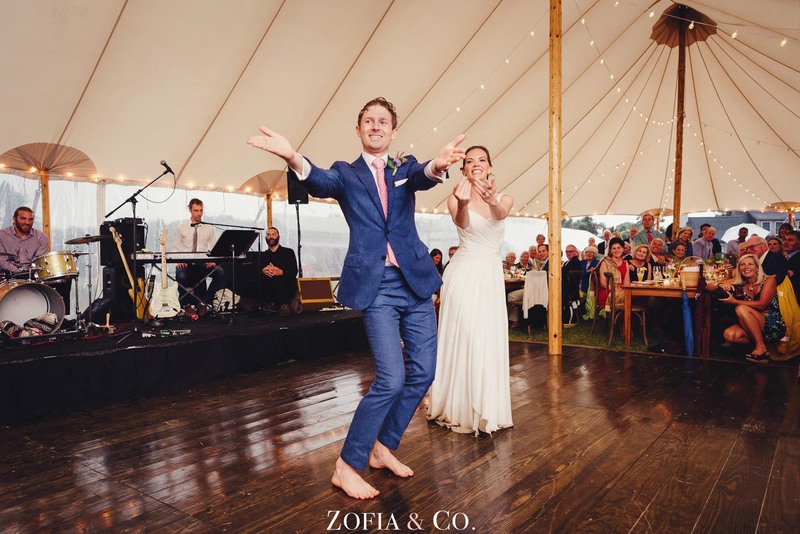 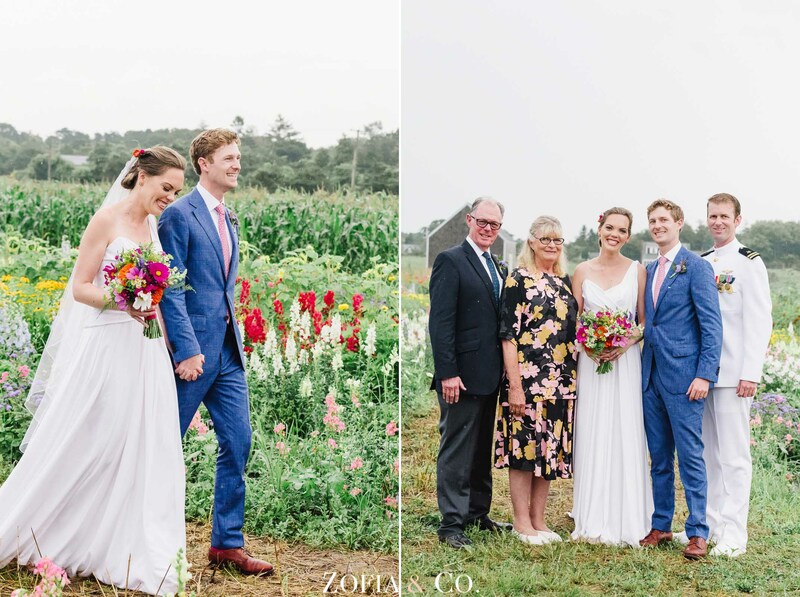 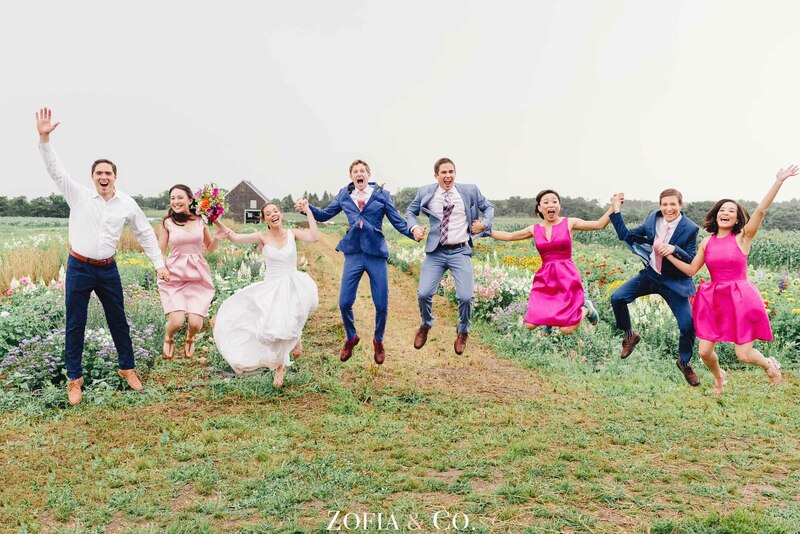 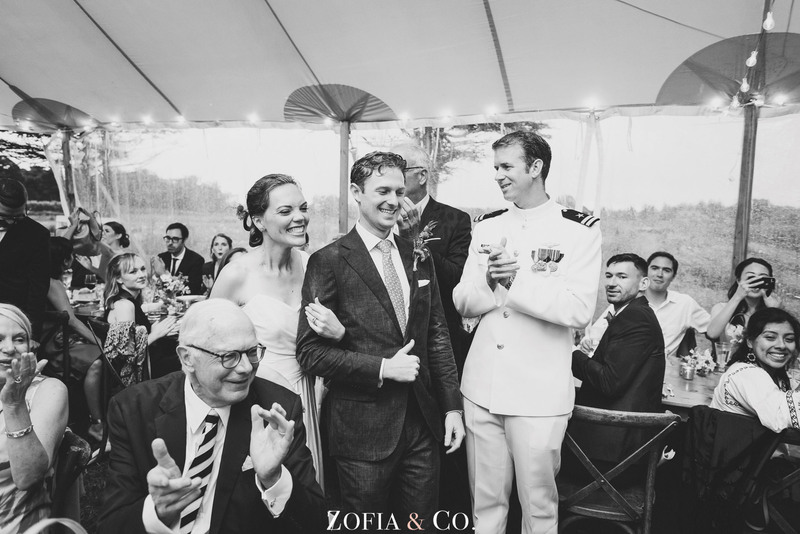 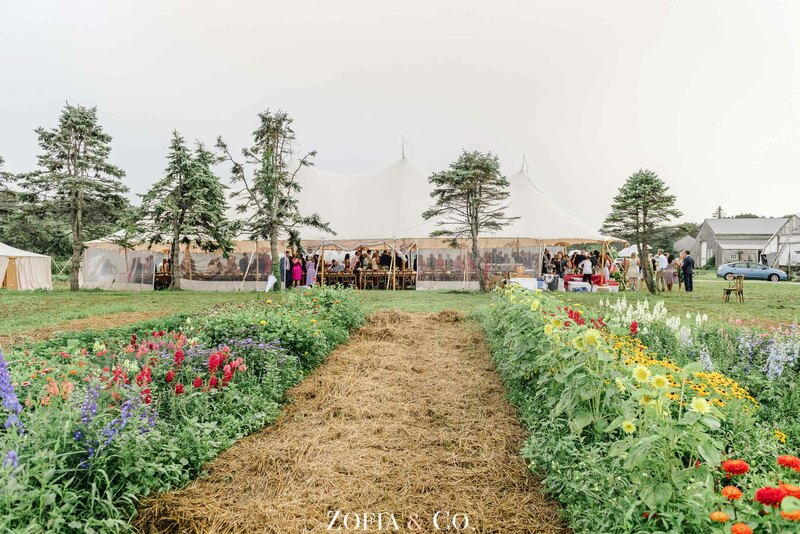 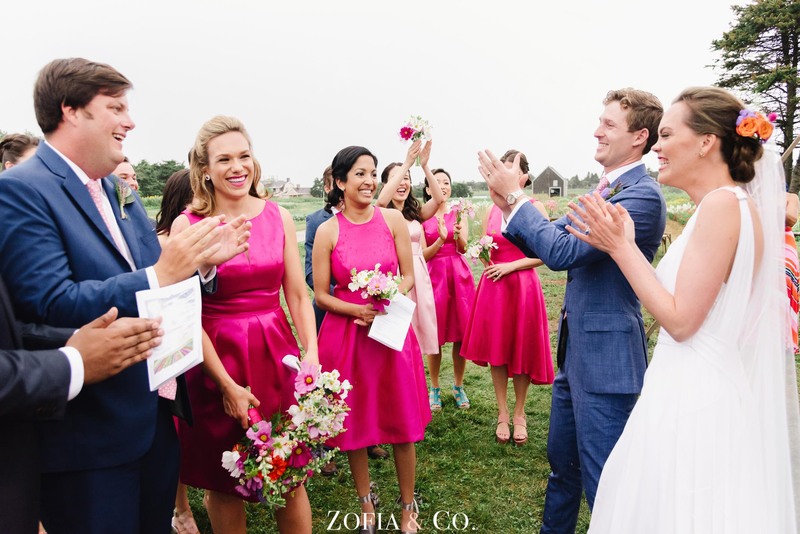 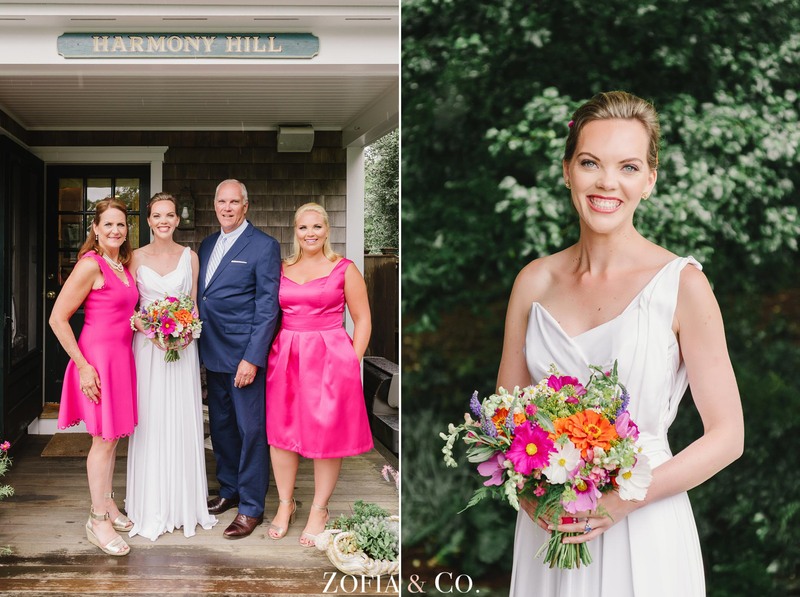 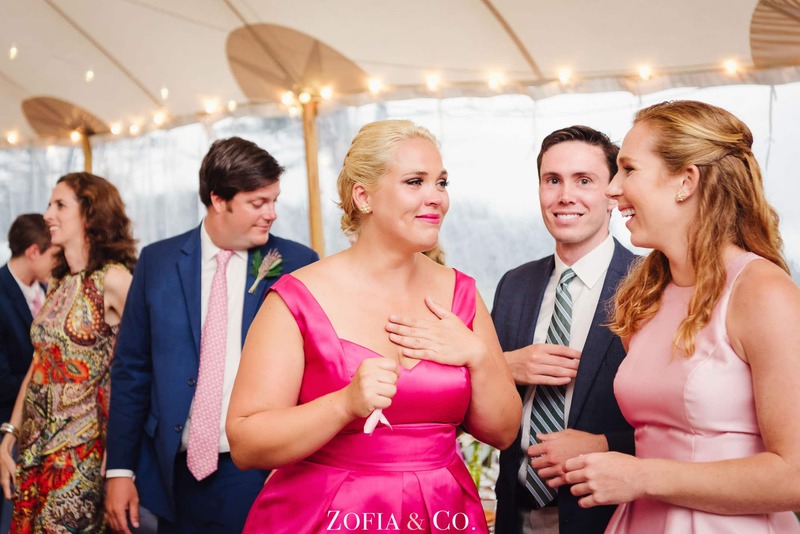 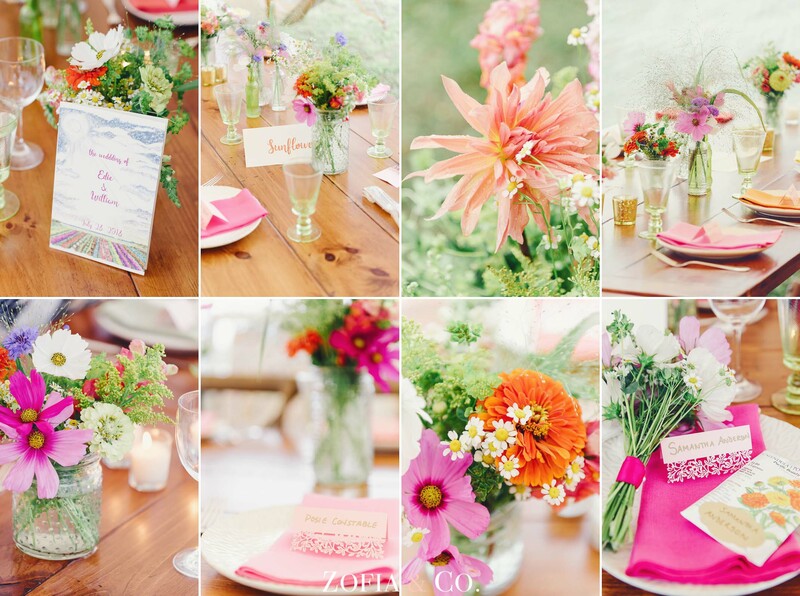 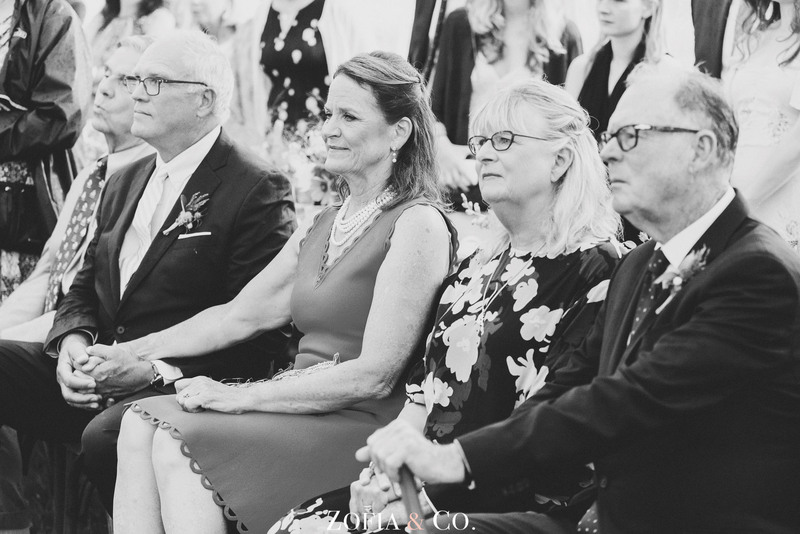 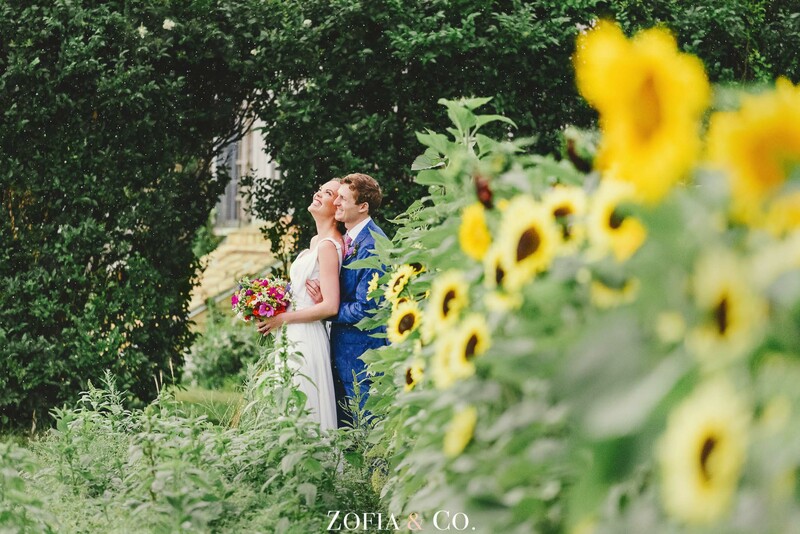 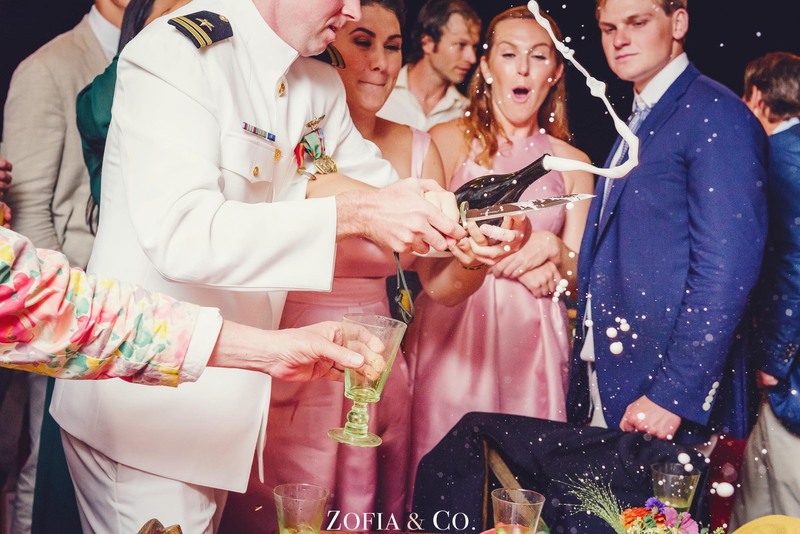 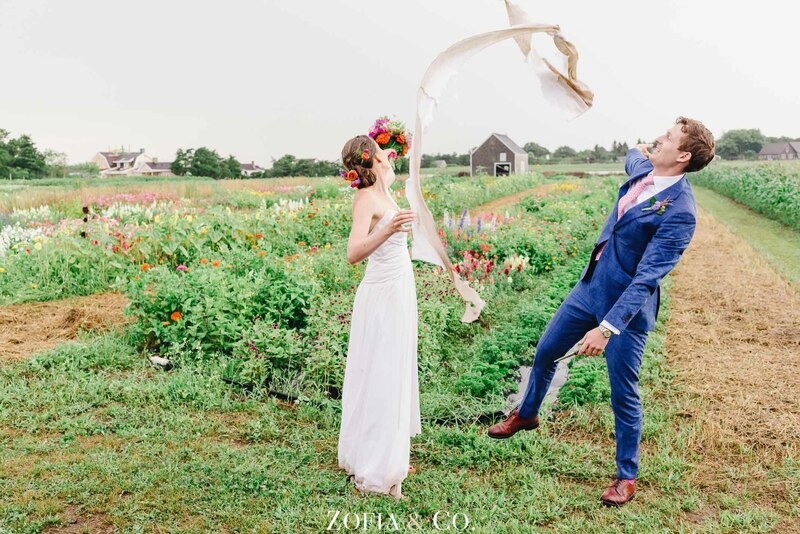 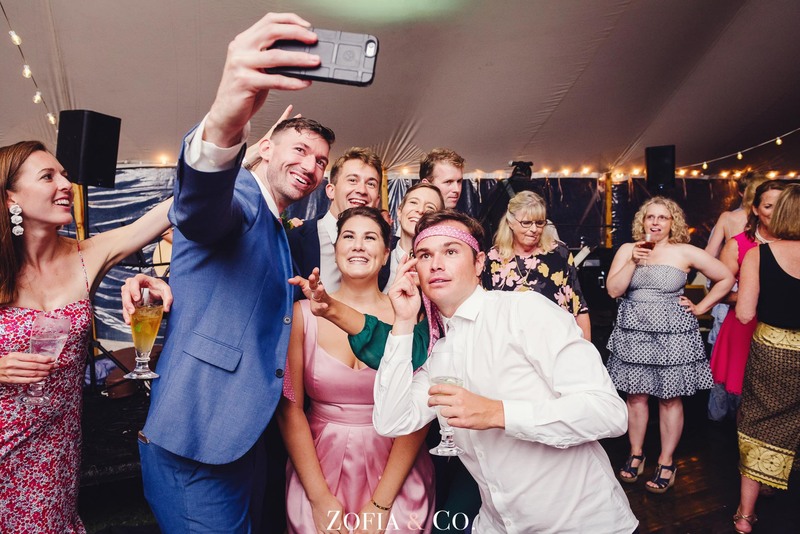 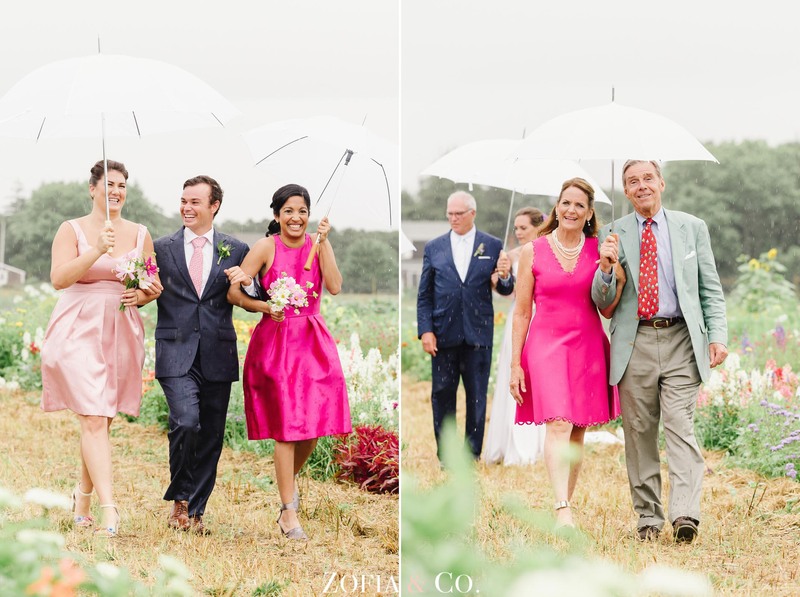 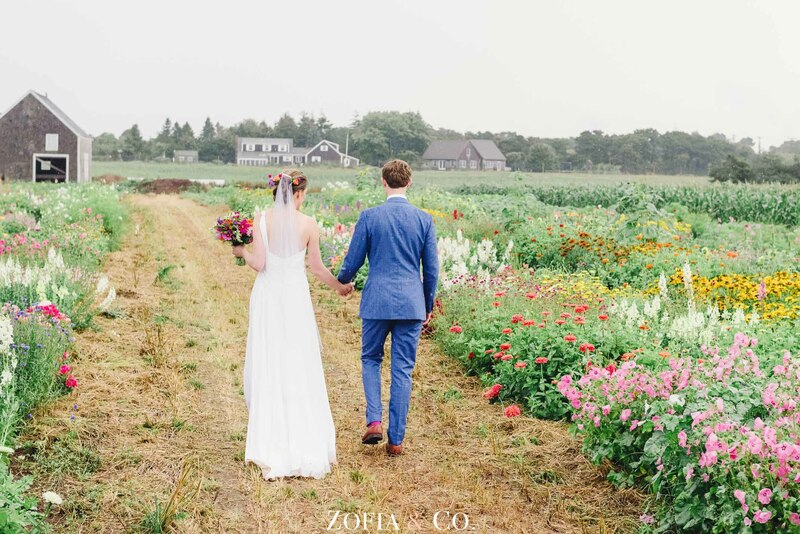 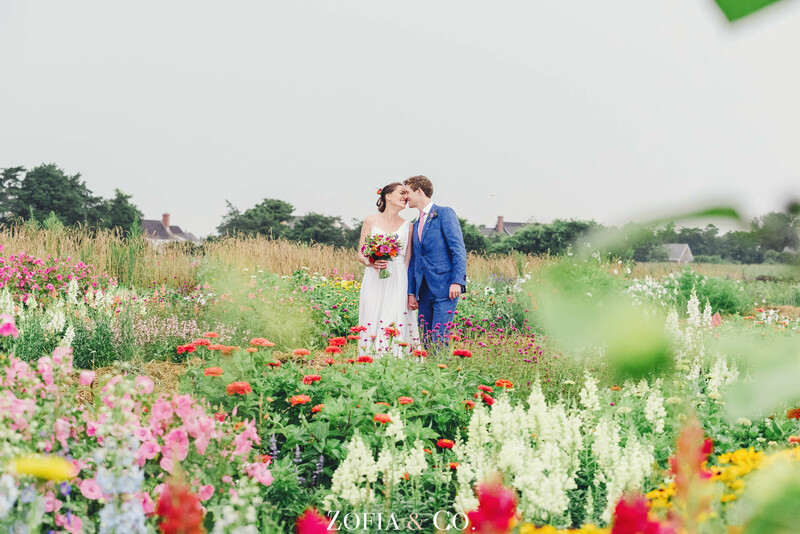 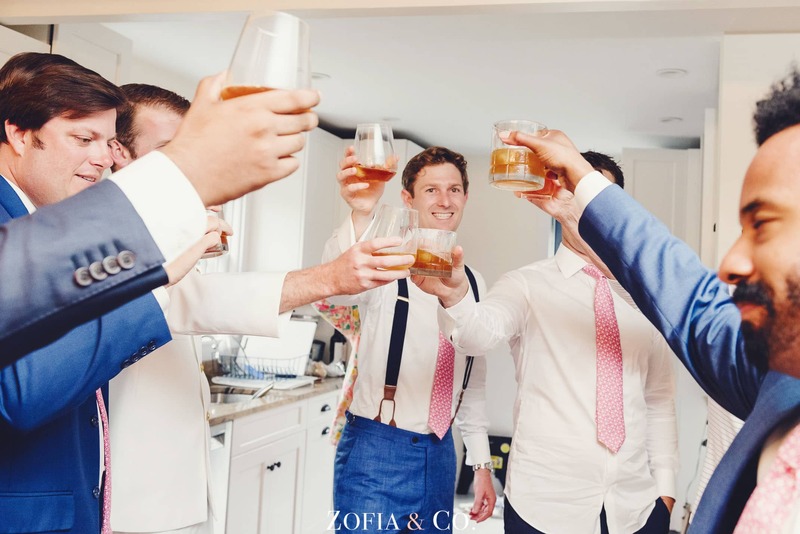 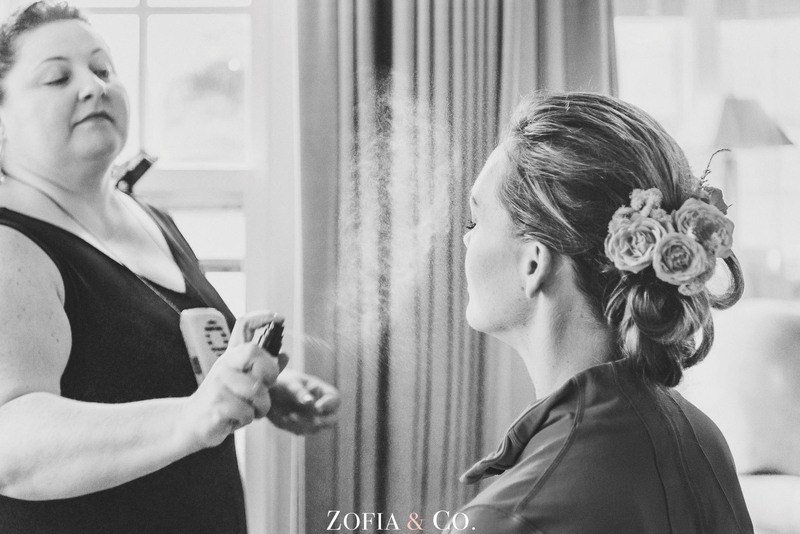 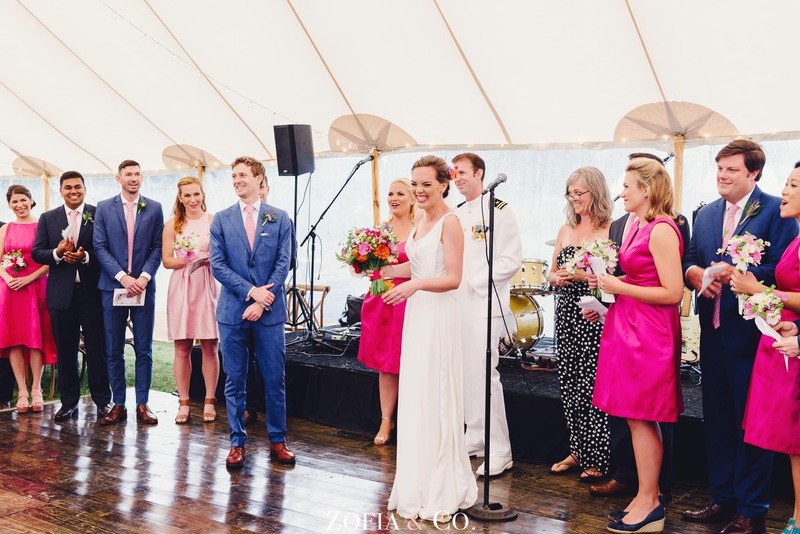 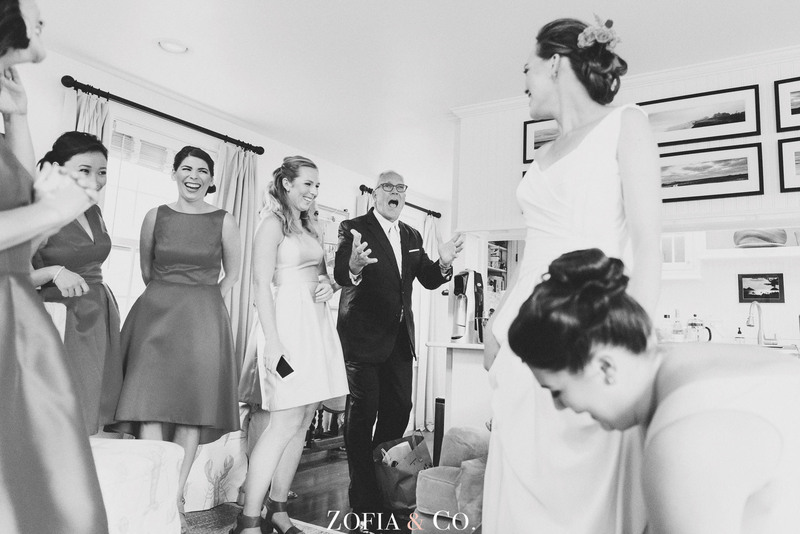 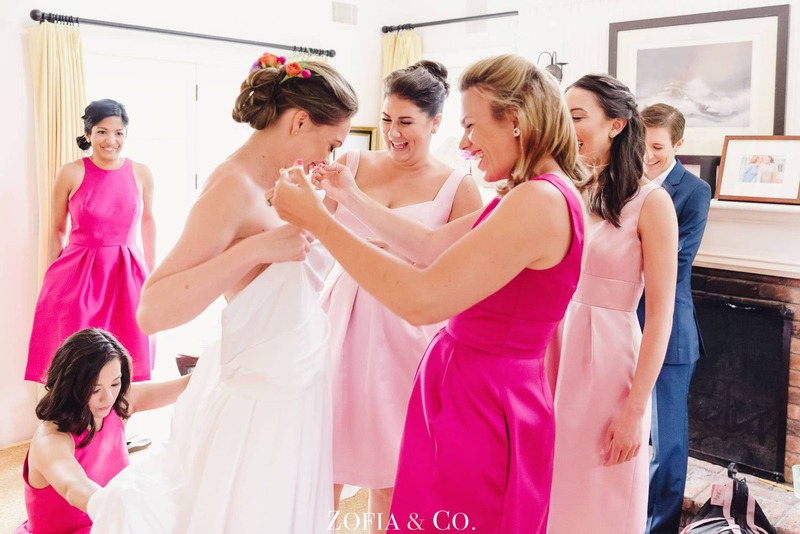 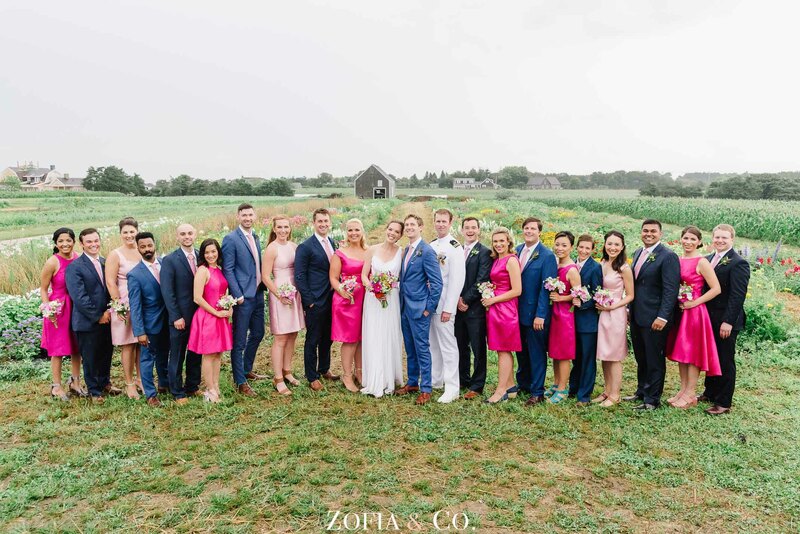 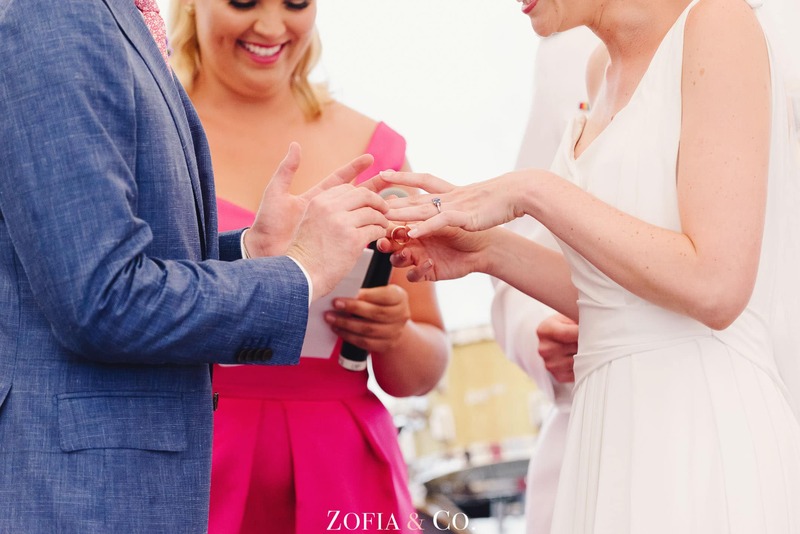 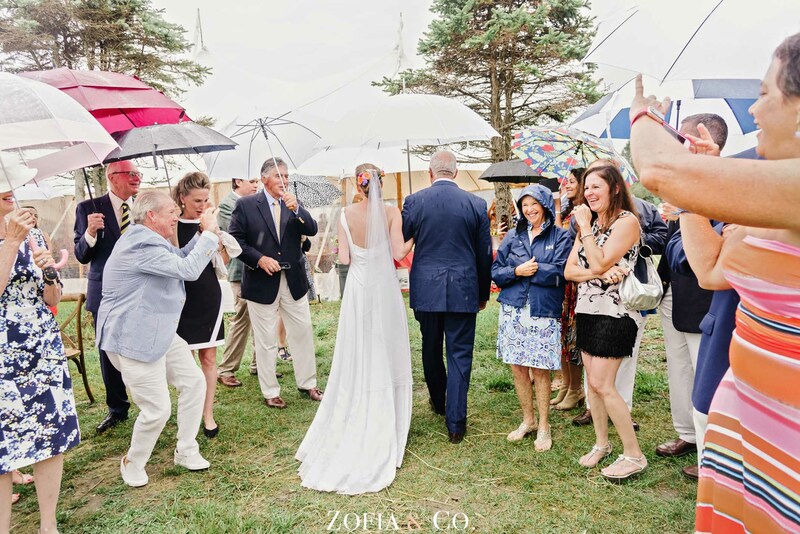 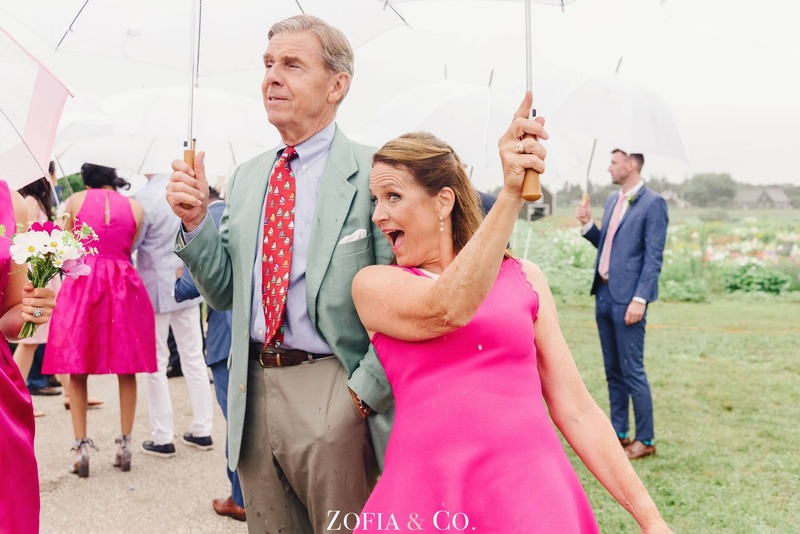 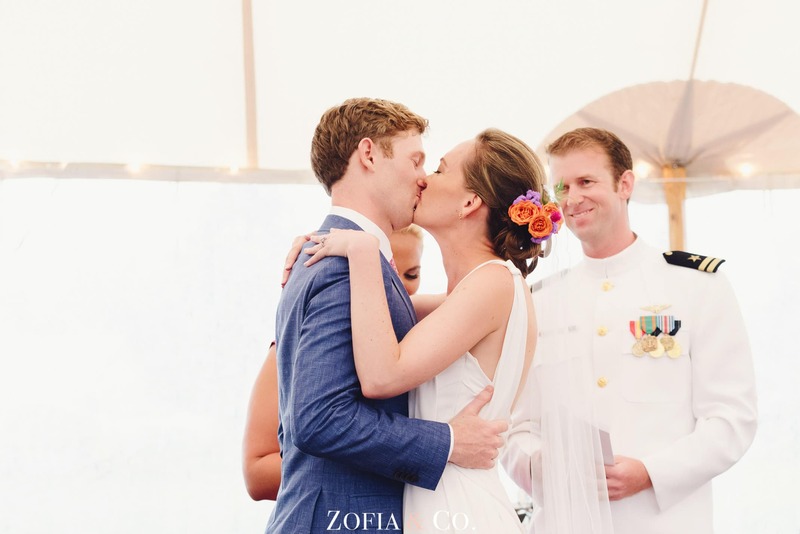 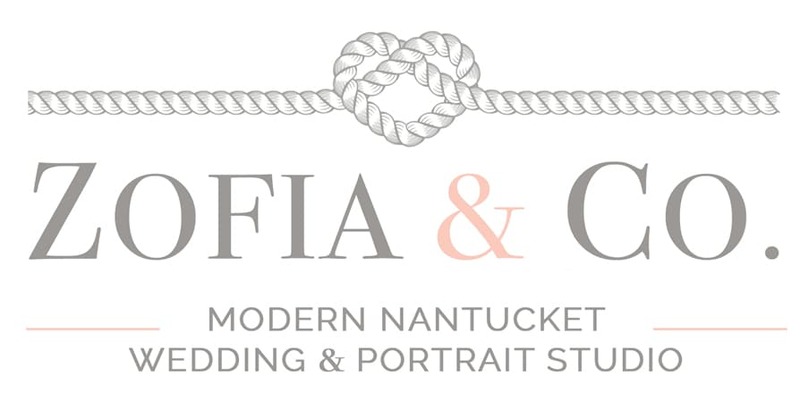 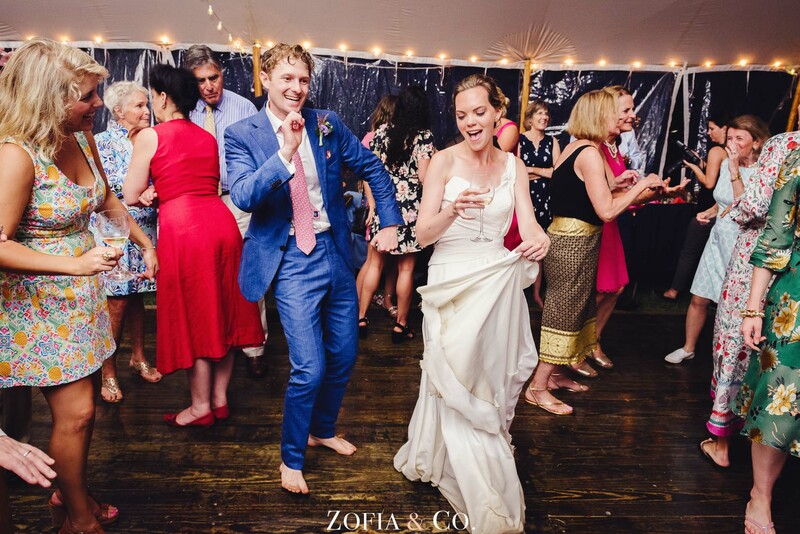 After a fun welcome party at her family home in Madaket, complete with Paella’s at Your Place by Antonio and Coq Au Vin serenading their guests, Edie & Will were married at Moors End Farm. 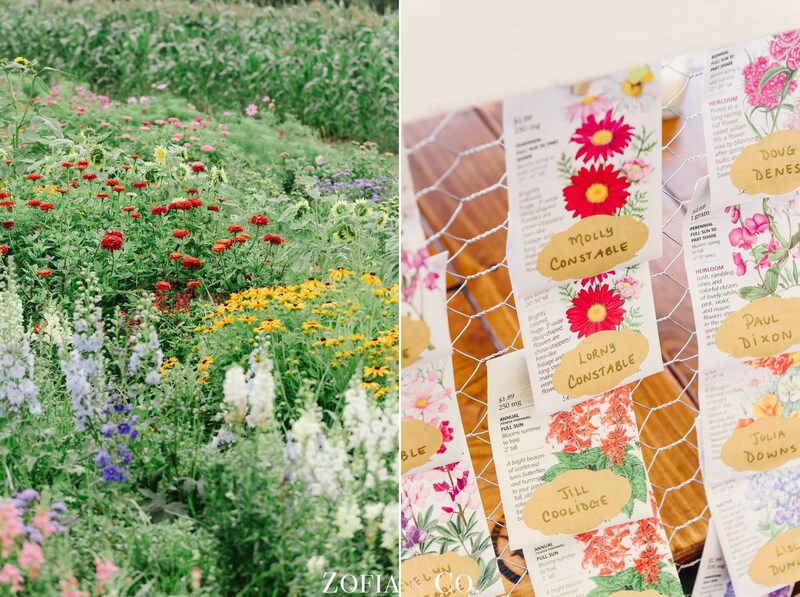 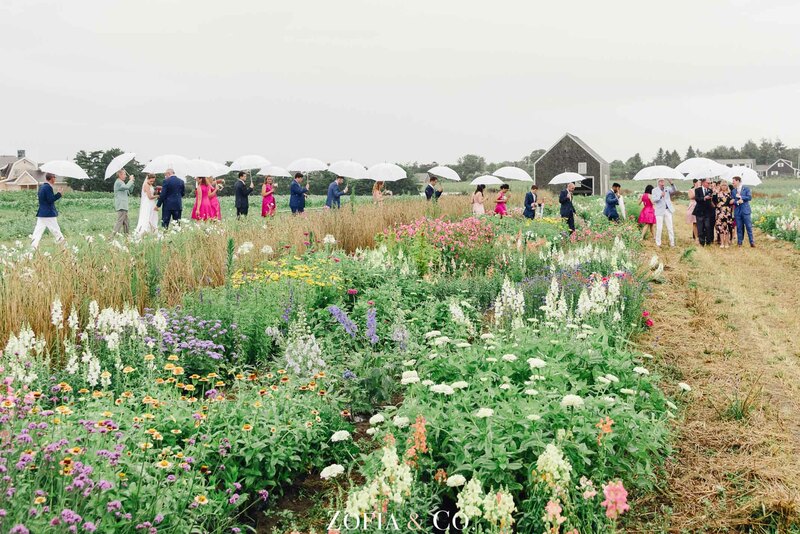 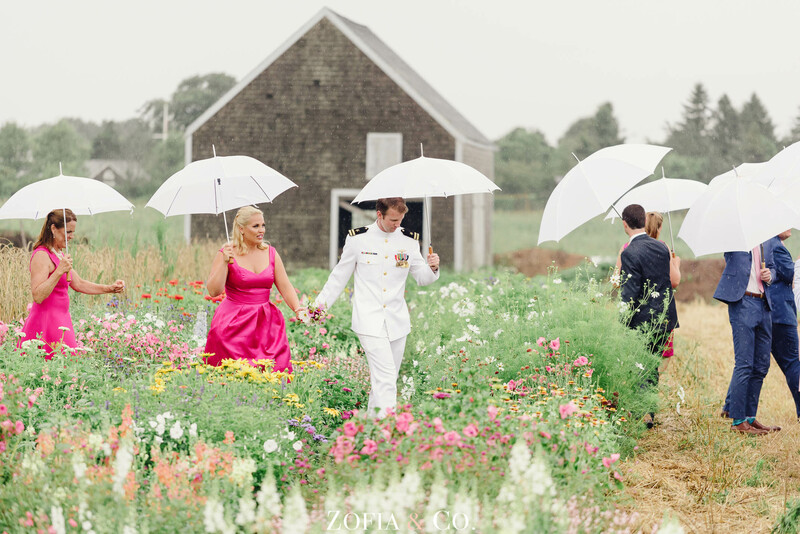 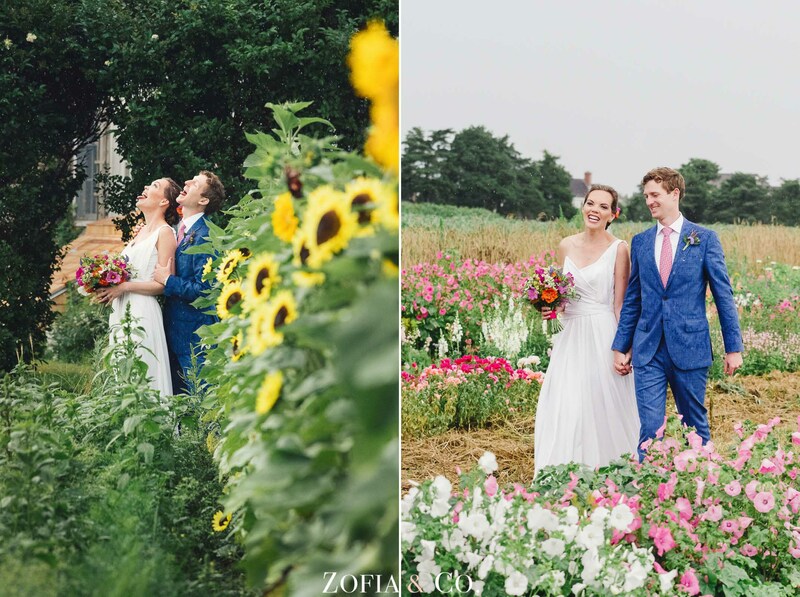 They threw a fabulous wedding among the flowers and rain. 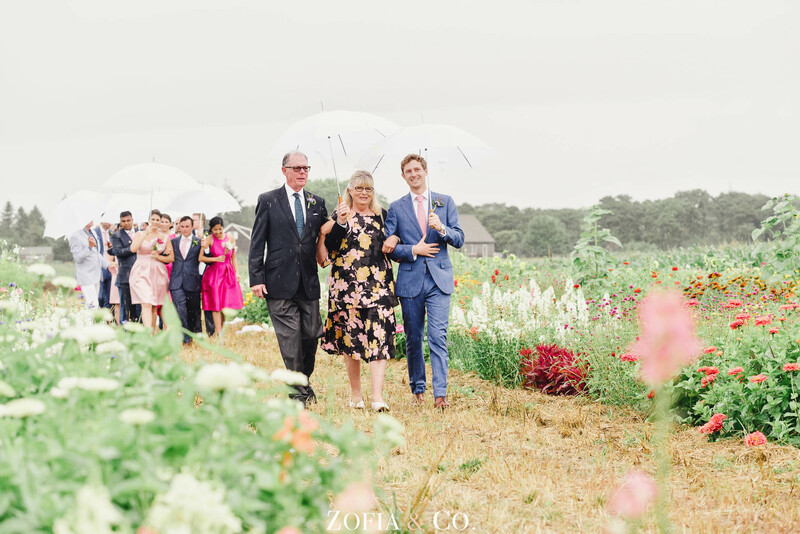 Stationery: Regula Campbell, the groom’s mother!